That's a whole lot of WTF there. Too busy today to post much, but I see Trump is keeping the heat on General Motors over their plans to close the Lordstown (Ohio) plant. Now, I'm in the auto industry, and I understand why the plant is closing, but I appreciate Trump trying to goad GM into repurposing the plant. I don't recall Obama ever giving a crap about workers losing their jobs. Roger that! Thanks to EMN for highlighting it!! pointing to Huawei being leaders in the killer 5G technology. For many years now the information that guided the population came from a select few channels on radio and television. The powers that be set themselves into positions to own a majority of these information channels for their benefit. With the internet, they are struggling to maintain their control. The public's eyes are now being taken off of their televisions and are focusing more on their computers and mobile phones. On the internet there are too many different channels to own, and they are mostly owned by The People now. For whatever reason, these powers that be didn't anticipate what the internet would become, which looks like it may turn out to be a fatal mistake. The powers that be are now trying to reestablish their dominance on the internet, which is why you see them modifying search results to guide you back to their channels, their videos, and censoring channels that threaten their control of public opinion. They are going so far to create conflicts that will convince the public that they need to censor their own channels for their best interest, as if it was their own idea to do so, but it is neither for their best interest nor their own idea. Q is a channel. A channel that somehow made a following and got on stage into the public's limelight. Now it seems its just a matter of reflecting some of that light into the shadowy corners, and possibly behind the curtains. You are the news now, right? What they thought was the cover of darkness was really just twilight. Just illuminate it all. We've all heard the phrase a picture can speak a thousand words but this is a serious WoW factor. Yes, you assumed correct on "The Cell". I'll post more when I get back later. On your last thought... what vicious circular insanity. You mentioned car components, do you know if a "GKN Driveline" HQ or subsidiary exists somewhere nearby? 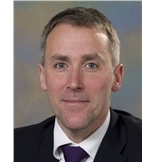 The Board is chaired by Ciaran Martin, DG for Cyber Security at GCHQ. It comprises senior executives from Huawei, including in the role of Deputy Chair, as well as senior representatives from across Government and the UK telecommunications sector. Prior to joining GCHQ in February 2014, Ciaran was Constitution Director at the Cabinet Office. In this role, he was the lead official negotiator for the Prime Minister and Secretary of State for Scotland in the run-up to the Edinburgh Agreement in 2012 on a referendum on independence for Scotland. Previous Cabinet Office roles included Director of Security and Intelligence, from 2008 to 2011, and Head of the Cabinet Secretary’s Office from 2005 to 2008. Before that Ciaran spent 6 years at HM Treasury and 3 at the National Audit Office, after graduating from Hertford College, Oxford in 1996.
a) The London meetings with Strzok, Page et al that we have so many pictures in Q posts? b) If he is the guy in the picture in Asia that many thought was Prince William? The one near the kindergarten and bank. H had some airtime in Dec 2018 blaming Russia for hacking. Theres that pesky number 17 again. In the Bourne movie, the Tron graphics with the credits at the end, there's a door key that opens a lock....guess which number is on it? Airbus' Helicopter division Eurocopter Group is 15 miles from Banbury, in Kidlington, on the way to Oxford. GKN Driveline HQ is in Redditch, Worcestershire. That's about 25 miles from Banbury and both are close to the M40 motorway. The Redditch HQ is about the same distance from GCHQ in Cheltenham. The 3 places form a pretty regular triangle! There used to be GKN Fasteners in Banbury town centre but doesn't appear to be there anymore (GKN subcompanies are merged and name changed more than any group I know). Crompton Technology Group is based in Banbury and makes "Innovative aerospace composites for civil and military applications". This Autonews article covers how both GKN and a Banbury company called Prodrive (Wiki) are concentrating on electric cars! It develops new technologies and systems for clients which include Jaguar Land Rover, McLaren Automotive, Bentley, Rolls Royce (commercial jet engines), Volvo and the Land Rover BAR America's Cup team. The company has a carbon composites manufacturing facility in Milton Keynes making lightweight components for premium vehicle manufacturers, including Jaguar, Aston Martin and Bentley, and the aerospace industry.